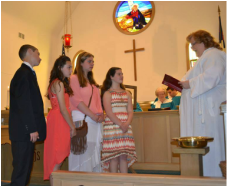 Preparation for confirmation begins when youth enter their middle school years. The middle school years (6th-8th grades) are when young people begin to move from concrete thinking to abstract thinking and is when many people begin to make lifelong faith decisions. During these middle school years youth are seeking a sense of belonging. Belonging to the community of faith is an appropriate response to that developmental task. 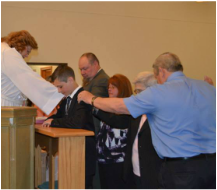 Although confirmation is not a sacrament in The United Methodist Church, it is an important marker along our spiritual journeys. Confirmation is an opportunity to respond to the grace of God available to us, as acknowledged in baptism, and to promise to live as a person of faith.